Surgery for obesity in Mexico border towns is highly affordable, and m edical tourists living in the American states, such as Texas and California will have to travel only a few miles to avail quality bariatric surgery in Mexico. By opting for weight loss surgery in Tijuana, Ciudad Juarez, and other Mexico border towns, medical tourists from the US can further cut down on their travel expenses, making it a feasible option for those who will have to self-finance the procedure. Many obesity surgery centers in Mexico offer discounted weight loss surgeries. According to figures released by the National Health and Nutrition Examination Surveys 2005-06, conducted by the National Center for Health Statistics, about 33.3 percent of American men and about 35.3 percent of American women are obese. The high prevalence rates of obesity are making bariatric surgery a sought after option for vanquishing obesity. Why Undergo Obesity Surgery in Mexico border Towns? Weight loss surgery in Mexico is a viable option for medical tourists who are open to traveling outside their countries to save themselves of the high medical costs in their home countries. Centers for bariatric surgery in Ciudad Juarez, Chihuahua and Tijuana have a large following primarily due to their observance of high quality and safety standards and for dispensing medical treatments which are easy on the pocket. With several weight loss centers sprinkled across the Mexican border towns, it is very convenient for people living in the American states that are in proximity to the border to cross over to Mexico for affordable weight loss surgery. Intended patients living in San Diego, CA will particularly benefit by opting for weight loss surgery in Tijuana Mexico, since it is only 17 miles away from San Diego. The presence of internationally accredited hospitals in Mexico border towns makes the quality of healthcare in Mexico at par with the first world countries. Be it a lap band surgery in Ciudad Juarez or mini gastric bypass surgery in Tijuana, Mexican border towns offer plenty of bariatric options! Board certified weight loss surgeons in Mexico border towns are known for their high competency levels. Medical staff is fluent in English, making it easier for medical tourists from around the world to communicate. Most weight loss centers in the Mexican border towns employ the latest and most sophisticated technology. Combine your medical treatment at Mexico border towns with a holiday in the exotic and beautiful locales of Mexico. Make sure you do a thorough research on the obesity surgery centers in Mexico border towns you are planning to get your surgery from. Review the bio and testimonials of the weight loss surgeon and make sure that you speak to a few of their former patients. 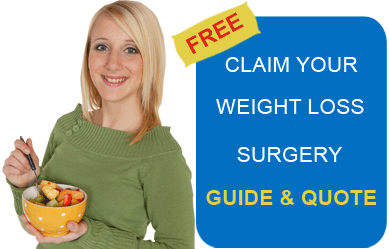 Visit internet sites that provide you with risk reduction tips for weight loss surgery in Mexico. Ensure that the hospital that you plan to get your surgery from has an international accreditation, such as from the JCI or the ISO. Visit the online blogs and forums for the latest information on obesity surgery in Mexican border cities. Medical tourists traveling to Mexico must take the necessary precautions for their safety, such as not venturing out alone late at night and avoiding withdrawing money from ATMs in deserted locations. Enjoy the great shopping experience in the open markets of Tijuana and Chihuahua that offer beautiful handicrafts, pottery, leather goods and clothing. Pamper your taste buds with the exotic Mexican cuisine. In November 2010, UNESCO added Mexican cuisine to its lists of the world’s “intangible cultural heritage”. Experience the rich cultural and historical heritage of Mexico. It is worthwhile to consider surgery for obesity in Mexico border towns as this will give medical tourist the opportunity to avail cost effective medical services and also experience the incomparable beauty of Mexico. Bariatric Surgery World facilitates affordable weight loss surgery in Ciudad Juarez, Chihuahua and Tijuana, Mexico. For more information and FREE quote, submit the estimate–request form on the right.